You know those people who travel the world on a whim, stay in five-star hotels and somehow do it all without spending a dime? Yeah, I’m not one of them. Don’t get me wrong. I like spending money, but the world of travel points, airline miles, rewards programs and upgrades has always intimidated and confused me. Spreadsheets? Not my strong suit. Here’s the thing, though — it’s easier than you think to learn the basics of credit cards points and begin collecting those travel rewards you deserve. If you already use a credit card (responsibly, of course) and enjoy traveling, you need to get involved in the points game. To get you started on the path to success, we consulted several travel points experts to find out how you can maximize your points and start living the world-traveler lifestyle you were destined for. Patti Geroulis, cofounder of the blog The Travel Sisters, recommends mapping out your travel goals before you start collecting miles or points. “Are you looking for free flights to Europe in economy for your family or do you want a free honeymoon in first class? Do you want to use your miles on free domestic flights or international flights or both?” She tells SheKnows that understanding where you want to go will help you figure out which card will get you there. 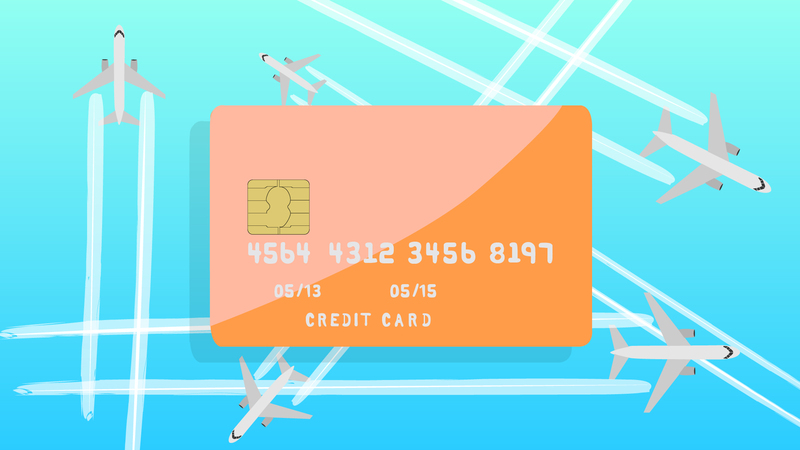 If you like to fly exclusively on a certain airline or live in a hub city, you might want to consider an airline-specific credit card. Airline cards offer perks like a free checked bag or access to airport lounges in addition to mileage or points programs. General travel cards offer more flexibility than an airline card, however, and may be your best bet. Annual fee: Most of the good travel credit cards charge an annual fee. Make sure the value of the reward points outweighs the cost of the credit card. Rewards rate: How many points or miles do you accrue with every dollar spent? Picking a card that offers bonus points for items you frequently purchase can jump-start your rewards. Sign-up bonus: A generous sign-up bonus can make your travel dreams a reality sooner than you thought was possible. Travel protections: Many travel cards offer free car rental insurance and trip cancellation coverage. Geroulis recommends the Chase Sapphire Preferred card for most credit card novices. “This card earns Chase Ultimate Rewards points, which you can transfer to a number of airlines and hotel programs,” she says. Once you’ve been approved, put that travel card to good use right away to start earning points. Every latte, bag of groceries and slice of pizza can get you one step closer to your dream vacation. And keep track of bonus categories to maximize your travel points. Just make sure you are able to pay it off each month — nothing ruins that dream trip to Italy faster than sky-high credit card interest payments. Most travel experts agree that booking your trip far in advance is the best bet for nabbing low fares. “One reason to avoid booking too late is that some airlines charge a close-in-booking fee for booking an award flight only a certain number of days before departure,” says Geroulis. Advance planning can help you avoid a lengthy stopover on the way to your dream destination or make the difference between first class and coach. “The biggest mistake people make with credit card points is collecting them blindly. It seems every newbie I meet boasts about their Delta SkyMiles collection, which are notoriously difficult to redeem,” Arghandewal says. Other common mistakes include redeeming your points for cash, as credit card points are much more valuable when spent on airfare or hotels. While there’s no such thing as a free lunch, a free flight to Australia is not out of reach. Arghandewal said she’s had tons of great adventures thanks to points and miles. “I once booked a 36-hour flight itinerary to Australia completely in first class. During the layover in Bangkok, I got to try the Thai Airways Spa — that’s right, the airline has a spa with one complimentary service per first- and business-class passenger.” Travel rewards can help turn dream vacations into reality. “I also took my entire family on a first class trip to Asia for three weeks and paid just $1,500 out of pocket,” said Arghandewal. “These are just a few examples of what’s possible with points and miles.” And spreadsheets are optional.